Born in city Nanjing, China, which is a prominent place in Chinese history and culture, having served as the capital of various Chinese dynasties dating from the 3rd century CE to 1949, Qing Song has enjoyed a rich cultural and historical background, and a diversity of higher education including a bachelor's degree in engineering at Southeast University (Nanjing, China), a master's degree in graphic design at Nanjing University of the Arts (Nanjing, China), and a master's degree in fine arts at Tufts University (Boston, MA, USA). As a painter she paints upon cultural background, personal experience, and everyday life to create oil and watercolor. Currently, Qing lives and works in Salt Lake City, UT, with her husband, their newborn son, and cat Ricy. 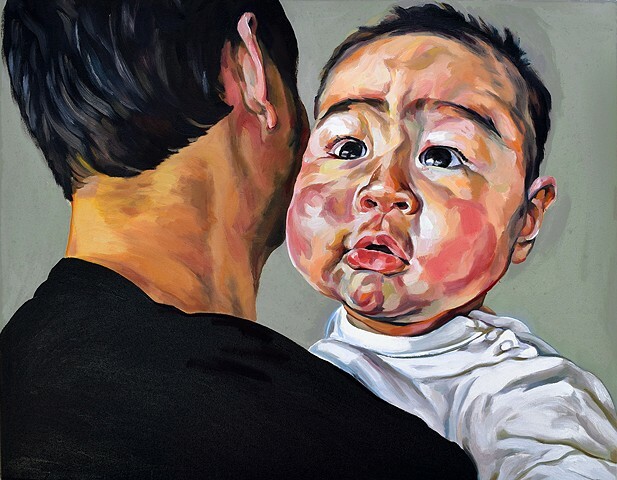 Finding inspiration in everyday life, Qing mainly works on figurative and portraiture painting, depicts the experience of closely observing real people, uses bright colors and bold strokes, captures subtle expressions and delicate emotions.